It’s easy to argue that goalkeeper is one of the most underappreciated positions in soccer. They don't get the accolades of a goal scorer, but for Roxana Herrera that doesn't matter. 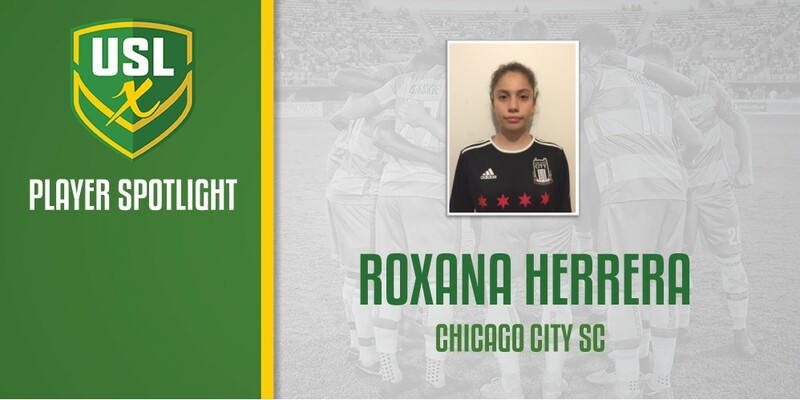 The Chicago City SC shot stopper will continue her career aspirations at the 2019 USL Experience when she joins 68 other Super Y League players in Tampa, Florida this April. Herrera, 14, has already made a strong impression as a keeper, however, her ambitions to play professionally one day have only driven her to pursue her passion more despite only being converted to a goalie just four years ago. As Herrera’s development as a goalkeeper continues to come to fruition, the young player is eager to learn as much as possible at USLX and beyond in order to make the most of her playing career. During the 2018 SYL season, Herrera helped guide Chicago City SC to a 5-1-1 record in seven regular-season matches. She looks to build off of that excellence at USLX, where she’ll be around other top-tier players and coaches to help in her growth.